Nowadays, people go to the dental clinic in Stirling for cosmetic reasons. More and more people are getting more conscious of their teeth. They want to achieve the perfect white smile that can be seen on their favorite celebrities. People go see a cosmetic dentist in Stirling for their different concerns. The most common reason for visiting one is to have one’s teeth whitened. The dentist would be able to give you several options when it comes to whitening your teeth. They can either send you home with a bleaching kit that you can do your own. There is also an option to have teeth whitening done in the dental clinic in Stirling. This usually takes effect faster compared to the one that you do at home. To get the perfect smile, others can choose to have veneers. Veneers is a thin layer of porcelain or composite material that is placed on the tooth. This is a perfect option for those heavily stained or discolored teeth. Veneers can also be a good option for people who have chipped teeth or teeth with an odd shape. Getting this done would require several visits to the dental clinic in Stirlling. Another popular procedure done by cosmetic dentist in Stirling is bonding. It can also hide the imperfections of your teeth. Just like veneers, this is also an option if there is a gap between your teeth, or if you have chipped or discolored teeth. This option is faster and cheaper compared to veneers. Crowns are used to cover a tooth. This is also used for discolored teeth or odd shaped teeth. Another one of its uses is to protect weak teeth or protect root canal-treated teeth. You can ask your dentist in Stirling if you are a good candidate for this. For those people who are missing a tooth, an option would be to get a bridge. 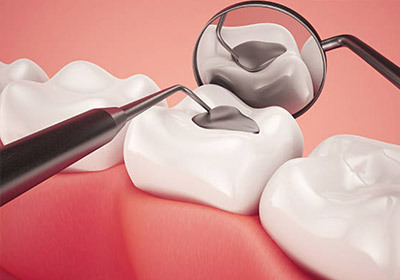 With bridges, the dentist in Stirling will replace missing teeth by installing artificial ones. To replace missing tooth, another option is to get implants. This can be an alternative to getting bridges but it is a more expensive option. These are just some of the procedures that your cosmetic dentist in Stirling can do for you. There are a lot of cosmetic procedures to choose from. Surely, there is something that will be able to meet your needs. If you want to get something done, it would still be best to talk to your dentist about it. 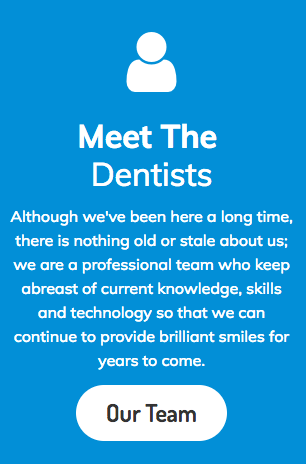 Your dentist in Stirling will be able to answer all your questions. Your dentist would be the best resource person for this since the dentist would be able to give you the pros and cons of each dental procedure.